School’s out next Friday, October 12, 2012, and Seattle Opera is ready for you! For educators, we’re offering a two-day professional development workshop—complete with 11 clock hours, dinner, and an opera. And for Grades 1-3, our Opera Time in-service day camp is loads of artistic fun. WHEN: Both October 11, 4:30-10 p.m. and October 12, 10 a.m.-3:30 p.m. Earn 11 clock hours and enjoy an opera at our new workshop for educators! 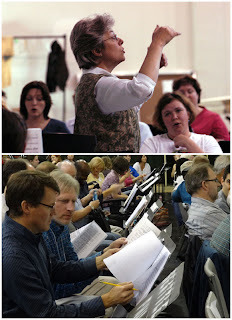 From warm-ups to repertoire, changing voices to blending voices, we've got you covered in this two-day workshop for choral directors, general music/vocal music teachers, and anyone else just interested in learning more about choral music. Over the course of two days, there will be time for choral directors and vocal music teachers to share their own expertise, as well as to learn new tips from leaders in the field. Includes dinner and attendance at the dress rehearsal of Fidelio on Thursday evening. School's out, so let the opera fun begin! This in-service day-long camp for children Grades 1 - 3 is the perfect introduction to opera. 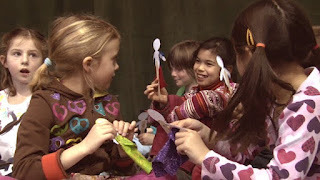 An extended version of our new program to support early literacy, this day camp uses storybooks as the basis for creating our own mini-opera with singing, arts & crafts, acting & dancing. After care available until 5:30 PM for an additional fee. Contact Seattle Opera’s Education Department at education@seattleopera.org or 206.389.7630.